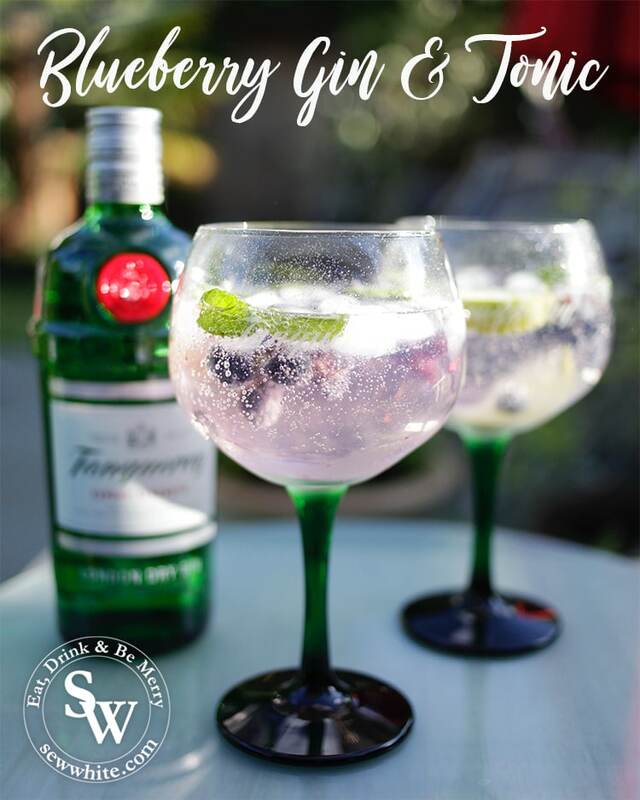 My Blueberry Gin and Tonic Recipe is a perfect drink for any event or just a really good evening when you’re after a fruit G&T. What is better than a twist on a gin and tonic while relaxing in this glorious weather! I’ve been enjoying trying out new G&T combinations with fruit to enjoy this summer. My favourite so far is this blueberry, mint and lime gin and tonic. It is super quick to make and very delicious, fresh and refreshing. Even without the gin and tonic it already looked so gorgeous! Add ice, 2 lime wedges and a few mint leaves into two glasses. Divide the blueberries between the glasses. Add 50ml of gin to each glass (this is a double but if you want it a little weaker just add 25ml per glass). Top up with tonic and serve straight away. It is a simple drink but absolutely delicious and now a family and friend favourite. Thank you to Tanqueray for sending me a bottle to experiment with for World Gin Day. Recipe is my own. You really can’t get more refreshing than a G&T – especially with the gorgeous flavours you’ve added to this fella!!!!! I often put frozen blueberries in mine with some lemon, but I’m def having a try at this recipe next. I will have to try frozen blueberries, that sounds amazing! Ooooh! THis sounds like the best G&T ever! I need to try it this weekend. How pretty! What a fantastic way to cool down in this sweltering heat at the moment. It was delicious and the constant heat made the second and third very necessary. Thank you so much! It was very good. It was safe to say the blueberries didn’t last long.